Peaceful and calm, the dairy cow is a kind and generous creature. 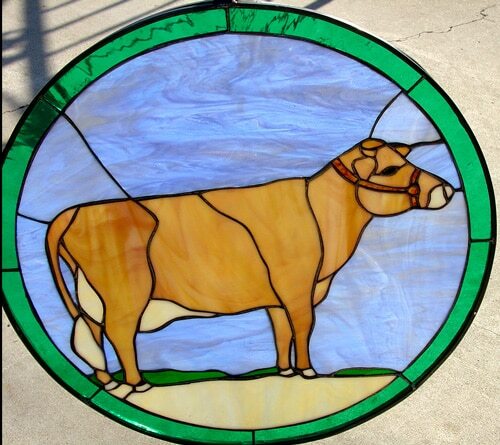 Our dairy cow leaded stained glass window panel is ideal for any rustic barn house design theme or for those that love cows. With a gorgeous marbled blue sky behind it, the round-cut shape and green border accentuate our peaceful dairy cow for a gentle image, one that brings glorious light into your home. 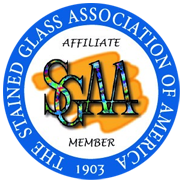 Categories: Windows Made-to-order (Wide Range of Designs), Animals & Birds.